Optimize your computer's performance and reliability today with the Multi Award-Winning Registry Reviver. 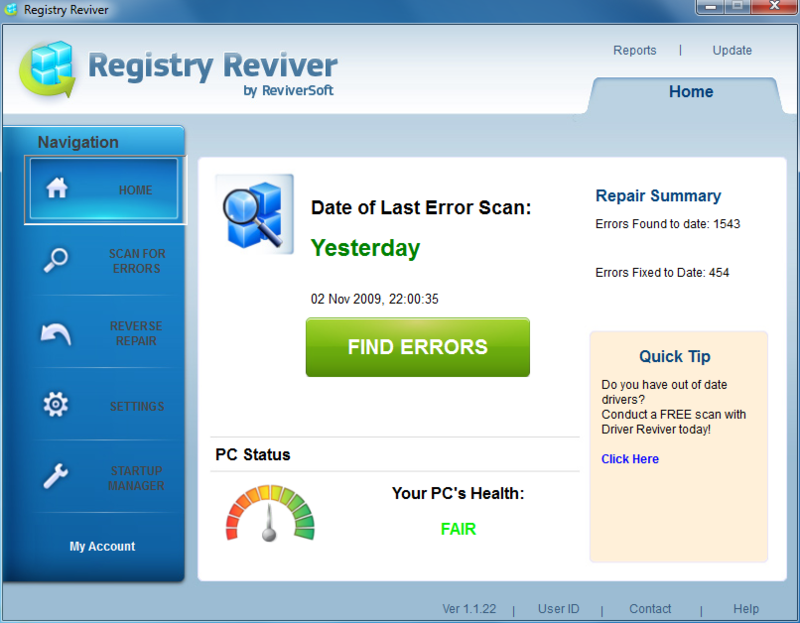 Registry Reviver conducts the most comprehensive and complete Windows registry scan in the world to identify problems and immediately fix them to quickly and easily restore optimum performance to your PC. Run a FREE scan today and immediately improve the performance and reliability of your PC! Qweas is providing links to Registry Reviver 2.1.64 as a courtesy, and makes no representations regarding Registry Reviver or any other applications or any information related thereto. Any questions, complaints or claims regarding this application Registry Reviver 2.1.64 must be directed to the appropriate software vendor. You may click the publisher link of Registry Reviver on the top of this page to get more details about the vendor.